After Colorado and Washington State voters gave a thumbs-up to recreational marijuana use in 2012, cannabis advocates needed another six years to win legalization battles in eight additional states. But in 2019 alone, at least eight more states seem ready to pass laws permitting recreational pot. Driving the legalization surge are several claims fast becoming conventional wisdom: marijuana is not only not harmful, but it’s also therapeutic; legalizing pot will end the unjust imprisonment of casual users, especially in minority communities; lawful pot, further, will help eliminate drug black markets and the violence that accompanies them; once able to regulate and tax pot, states will enjoy a fiscal windfall, as an era of responsible marijuana use dawns. Pockets of resistance to the pot movement are emerging, however. Some minority-community leaders reject the social-justice rationale for legalization, fearful of legal pot’s impact on their neighborhoods. Doctors treating the physical and psychological effects of marijuana are increasingly disputing the notion that it is “medication.” States seeking a fiscal windfall from marijuana are finding that, if you tax it at high rates, you drive the market back underground. And some legislators are urging decriminalization instead of full-on legalization. Right now, the odds appear stacked against cannabis foes, but an earlier campaign for legalization, which began in the 1970s and looked unstoppable, fizzled out after enough people were educated about the drug’s effects. Something similar may eventually happen again—but the cost to the country, in the meantime, could be significant. America’s history with cannabis dates back to colonial times, when farmers introduced plants to produce hemp, used to make rope and fabric. By the mid-nineteenth century, a so-called therapeutic form of cannabis began showing up in American pharmacies, following reports from Europe that heralded its “medicinal” qualities, including its purported power, taken orally, as an aphrodisiac. Soon, literary accounts of the hallucinogenic properties of the substance began circulating, sparking an era of experimentation during the late nineteenth century. Travelers of the time described the growing popularity of cannabis, under the name “marihuana,” in Mexico, where hemp had also been widely grown. Attitudes toward the drug started to change with articles in pharmaceutical and scientific journals claiming that it sparked violence and madness in users, and the Mexican government moved to try to limit its distribution. The backlash extended to California, which banned cannabis in 1913 as part of a broader antidrug effort. Some U.S. cities, including El Paso, situated on Texas’s border with Mexico, initiated their own local prohibitions. In 1937, the federal government sought to curb marijuana use, with the innocuously titled “Marihuana Tax Act,” which required growers and sellers to register with the IRS and gave Washington a way to regulate pot. The federal Controlled Substances Act of 1970 tightened restrictions, banning even the medical use of marijuana—but by then, a countercultural movement had gathered to liberalize state drug laws, in opposition to Washington’s tough stance. Oregon kicked off the decriminalization wave in 1973, imposing a mere $100 maximum fine for possession of up to one ounce of marijuana. By 1977, 13 states had reduced or ended penalties for pot possession. That year, President Jimmy Carter called for national decriminalization. The crack-cocaine epidemic worried America for much of the 1980s, deflating any hopes of drug legalization, including for marijuana. But a small marijuana advocacy group, led by AIDS activists promoting pot as a way for patients to reduce their pain, rose in the early 1990s. A San Francisco activist, Dennis Peron, whose late partner had used pot to help cope with the awful physical effects of AIDS, sponsored a successful 1991 referendum in San Francisco, in which voters urged the state to make marijuana available for medicinal uses—though little research, beyond users’ testimony, validated their claims for the drug’s benefits. Nevertheless, Peron’s movement gained momentum. In 1996, he authored a California-wide ballot initiative, Proposition 215, backed by financing from George Soros and Progressive Insurance founder Peter Lewis, to legalize medical marijuana. It passed, with 56 percent of the vote. Thus was born the idea of promoting marijuana as harmless at worst, medicinal at best, reversing the damage that pot’s reputation had suffered in the 1970s. Within ten years, 13 states had approved medical marijuana; today, 30 have legalized it. Legalizing medical marijuana by ballot initiative was a political stroke of genius, in that it circumvented how medicinal drugs get approved in America—through research, including extensive patient trials. “Actual medicines have research behind them, enumerating their benefits, characterizing their harms, and ensuring the former supersedes the latter. Marijuana doesn’t,” wrote Peter Bach, head of the Center for Health Policy and Outcomes at Memorial Sloan Kettering Cancer Center, in a recent Wall Street Journal editorial. Studies have compared pot’s pain-suppressing qualities with a placebo, not with other pain medications, Bach noted. “Every intoxicant would pass that sort of test because you don’t experience pain as acutely when you are high. If weed is a pain reliever, so is Budweiser.” Many doctors remain similarly unconvinced of pot’s medical powers, one reason few recommend it, and often only for terminally ill patients. In Oregon, just ten doctors accounted for more than three-quarters of authorizations for medical marijuana use in the first decade after the state legalized the treatment, Berenson observes. A study in Arizona, which legalized medical pot in 2010, found that five years later, 98 percent of physicians weren’t prescribing it. The next stage in the pot-legalization campaign deployed supposed social justice in the cause. After polls showed that Coloradans might support full legalization under the same kind of regulatory regime as governs alcohol, a political coalition, headed by the Drug Policy Alliance, announced in 2011 that it would seek full legalization. Like California, Colorado has initiative and referendum, which meant that residents could vote directly on the question. In announcing its effort, the coalition emphasized the view that current marijuana penalties harmed America, especially minority communities. “The responsible regulation of marijuana is a crucial first step in undoing the harms associated with the failed drug war,” the group said. Legalization would also undermine the Mexican drug cartels, backers claimed—even though Mexico’s internal drug wars dated to the late nineteenth century, long before pot was widespread in America. “Legalization would lead to stabilization of our border with Mexico and put an end to laws that create criminal profits and syndications,” NORML’s executive director announced. The strategy, adopted in many states, worked. In 2012, Colorado and Washington State simultaneously voted to approve recreational use of marijuana. Two years later, Oregon and Alaska approved recreational use via ballot initiatives, followed in 2016 by California, Nevada, Maine, and Massachusetts. Last year, Vermont became the first state to legalize recreational pot through its legislature, while Michigan voters did so through a ballot initiative. This year—with endorsements from recently elected governors, in some cases—Connecticut, Illinois, New Jersey, Minnesota, New Mexico, and New York are among the states considered likely to join the legal-pot ranks. As the legalization wave accelerates, scientific studies keep warning about the health dangers of marijuana—above all, today’s meticulously cultivated kind, orders of magnitude stronger than pot in the past. Yet ordinary people seem skeptical of any health threat. Their ranks initially included Berenson. Several years ago, though, he was discussing a violent criminal’s case with his wife, a forensic psychiatrist who works with mentally ill criminals, and casually mentioned that the perpetrator was high at the time, and had smoked pot regularly his whole life. “Yeah, they all do,” she responded, matter-of-factly. Surprised, Berenson began to look into what science has discovered about pot, a quest that culminated in his eye-opening book. As far back as 1920, writes Berenson, the Mexican government declared marijuana “one of the most pernicious manias of our people.” A British psychiatrist, working in an Indian asylum around the same time, warned in a medical journal of “a special form of mental disease”—“toxic Insanity”—related to “excessive use of hemp.” Another study, several years later, attributed about 27 percent of cases at one Indian asylum to cannabis. By the 1970s, as marijuana use became widespread in Europe and America, similar reports emerged in scientific journals like the International Journal of the Addictions (now Substance Use & Misuse) and the Archives of General Psychiatry. One Swedish physician embarked on a thorough study of nearly 50,000 Swedish military draftees, all surveyed about their drug use. Following up years later, the researcher found that those admitting to using pot frequently as teens were six times more likely to develop schizophrenia than non-pot-smokers. His 1987 paper in The Lancet spurred further work, and studies in New Zealand and the Netherlands found comparable associations. A 2004 review of studies on marijuana use, published in Progress in Neuro-Psychopharmacology, reported that regular pot-smokers got into motor-vehicle accidents more often than nonusers and were more likely to develop schizophrenia. Some studies, the review noted, also suggested a link between marijuana use and depression. Children of mothers who used pot during pregnancy, other studies suggested, develop neurological problems more often, including memory impairment and reduced ability to process information. Learning, memory, and attention are impaired after using cannabis, and the damage may last even after people stop using it. Cannabis use can negatively affect adolescents’ and young adults’ health and well-being, including their school performance, education level, social lives, and future employment and income. Smoking cannabis during pregnancy is linked to lower birth weight in babies. Smoked cannabis has many of the same cancer-causing substances as smoked tobacco. Cannabis use is associated with the development of schizophrenia and other psychoses (loss of reality). The risk is highest for the most frequent users. The more a person uses cannabis, the more likely they are to develop problem cannabis use. Frequent and long-term cannabis use may be linked to worsened symptoms in individuals with bipolar disorder. There may be a link between using cannabis and becoming dependent and/or abusing other substances, including alcohol, tobacco, and other illicit drugs. The media largely ignored the NAM report. The Nexis database of newspaper articles contains just a handful of references to its release, and some were astonishingly misleading, citing only the very limited beneficial effects of marijuana that the study outlined. The press continues to seize on any slim evidence that pot is harmless or medicinal. Newspapers have published hundreds of stories, for instance, suggesting that marijuana use could reduce opioid dependence, all based on a much-disputed study in 2014 in the journal Internal Medicine, which employed very limited data. Subsequent studies show a far different outcome. A 2018 report in The American Journal of Psychiatry, using nationwide data, found that adult marijuana users were three times more likely to move on to opiates within several years. A 2018 editorial in the journal Addiction attacked the “myth” that marijuana can reduce opioid addiction and worried that widespread misconceptions might encourage an unproven treatment over other approaches that have been shown to work. Yet New Jersey governor Phil Murphy recently approved medical marijuana in his state for treating opioid addiction. The social-justice narrative for pot legalization is no sturdier. Current marijuana regulations, the National Association for the Advancement of Colored People argued in 2012, result “in a disproportionate number of African-Americans and other people of color being introduced into the criminal justice system.” But the phrase “introduced into the criminal justice system” suggests a big problem—mass incarceration of minorities for pot possession—that doesn’t actually exist. As local governments have reduced penalties for simple marijuana use, most of those jailed for drug-related charges are dealers. Only about 1 percent of federal prisoners are behind bars on simple possession charges, and fewer than 4 percent of state prisoners are in for possession—often of more serious substances than marijuana, moreover. In New York City on any given day, only a single person is incarcerated on marijuana-possession charges—in a system that typically has 8,000 inmates in the city’s main jail, Rikers Island, alone. Usually that single pot-smoker is being held because he or she has an outstanding warrant for other crimes. Much of the police activity on pot, further, is a result of community complaints. At hearings last year in New York, Councilman Fernando Cabrera, representing portions of the Bronx, noted that “people in my community, when they call 311 or 911, want a response. . . . They are disturbed when they go outside and people are smoking pot.” In his overwhelmingly Latino district, Cabrera added, the people doing the complaining were also of the same race as those being arrested—a far more common occurrence than the advocates fighting racial disparities in enforcement typically acknowledge. One very real fear of community leaders is a spike in crime. Though critics often scoff at the link between violence and pot—blame antipot jeremiads like the 1936 educational film Reefer Madness—the evidence is clear, and growing, that habitual marijuana intake provokes aggressive episodes in some users. A 2013 paper in the Journal of Interpersonal Violence found that students who used marijuana were three times more likely to be physically aggressive as those who did not. A 2016 study, published in Psychological Medicine, reported on a project that tracked 400 English people for 40 years, starting when they were young. Marijuana users, the study discovered, proved five times more likely to be aggressive throughout their lives. A report in Drug and Alcohol Dependence, analyzing data from several studies, found that teens and young adults who used marijuana were 45 percent more likely to act violently while dating. The results shouldn’t be surprising; it is becoming ever clearer that smoking or ingesting marijuana increases the probability of someone developing psychosis, and psychotic individuals often become violent. States that have legalized marijuana are now laboratories for a giant experiment on how pot affects the social order. The early returns aren’t encouraging. Since 2012, when it signed off on recreational pot, Colorado has seen violent crime rise by 20 percent, compared with a decrease of about 1 percent in violent crime nationally over the same period. In Alaska, since legalization in 2014, violent crime is up 30 percent, while it has jumped 21 percent in Oregon. Only in Washington State—where crime has risen 3 percent since legalization in 2012—might the crime increase be described as moderate. Another naive assumption of the social-justice narrative is that legalization will end an inefficient, counterproductive war on drugs. But this doesn’t account for the cost that government imposes on any product that it regulates and taxes, which makes legal pot pricier than its black-market counterpart. “Colorado’s black market has actually exploded after commercialization,” the former U.S. attorney for Colorado, Bob Troyer, wrote in a September 2018 Denver Post op-ed. As marijuana cultivation and adoption have become more widespread, Troyer explained, authorities have found it tough to separate what’s legal from what’s black market. In 2017, he said, Colorado legal producers turned out 6.4 metric tons of weed unaccounted for by authorities, while cops seized some 80,000 black-market plants in the state. Mexican cartels, Troyer observed, are now sending illegal workers into the state to grow pot on public lands. “We have become a source state, a theater of operation for sophisticated international drug trafficking and money laundering organizations from Cuba, China, Mexico, and elsewhere,” he wrote. Something similar seems to be happening in California, where first-year legal sales of marijuana have lagged, in part because of government regulations and costs. Ironically, legal marijuana’s advocates now contend that the industry can’t make much headway because officials aren’t doing enough to crack down on illegal pot. At the same time, unlicensed delivery services have proliferated to sell the pot that isn’t getting retailed through shops. Despite all this, legalization advocates credulously see legal pot as a windfall for urban communities. “Given the damage that has been done to our communities from the war on drugs, it only makes sense that the revenues generated from the taxation of marijuana be reinvested into the communities harmed the most. This is the definition of socioeconomic justice,” said Akosua Ali, president of the Washington, DC, chapter of the NAACP in 2014, when advocates kicked off a legalization campaign in that city. More recently, an ACLU official in New Jersey, arguing that social justice is at the heart of the legalization push there, said that the new pot laws must ensure that “non-white entrepreneurs have opportunities in growing and retailing.” Massachusetts’s Cannabis Control Commission has its own social-equity program, akin to government contracting programs that give preferences to minorities. The Massachusetts effort is open to those with past drug convictions, the children of those convicted of possession under previous law, and low-income residents in areas where the state determines that enforcement has had a “disproportionate impact” on the community. Such residents not only qualify for licenses to sell pot; they also can receive technical training to get into the new business. As legalization campaigns march on, marijuana’s equivalent of Big Tobacco has arrived: large, well-financed organizations deploying sophisticated marketing and product-development techniques to sell pot. There’s little sense that small entrepreneurs—including minority entrepreneurs—will be able, even with government help, to grow and sell products competitive against these giants, or the black market. Writing in the Denver Post, Troyer described the new pot industry, producing and marketing an increasingly wide array of products composed of “higher and higher potency marijuana” to habitual users. High-powered investors have swept in: in Canada, which has also legalized pot, three major marijuana-growing companies that have gone public—Aurora Cannabis, Canopy Growth, and Tilray—have watched their market capitalizations blast beyond $5 billion. Seattle-based Diego Pellicer, a publicly held firm, is gobbling up farmland for pot cultivation and retail sites for sales. It’s expanding into California and looks to become “a national, vertically integrated marijuana company” if the feds legalize pot nationwide. Curaleaf, based in Wakefield, Massachusetts, began as a ten-person medical-pot dispensary but now employs 1,000 people in ten states that have legalized medical or recreational pot. It recently raised $400 million from private investors and seeks to be the nation’s largest retail-pot purveyor. It’s one of five multistate marijuana chains in a quickly crowding market. Companies are now trying to establish national marijuana brands with names like Willie’s Reserve, launched by country-music legend Willie Nelson, and Marley Natural, marketed under a licensing agreement with the heirs of the late reggae singer Bob Marley. 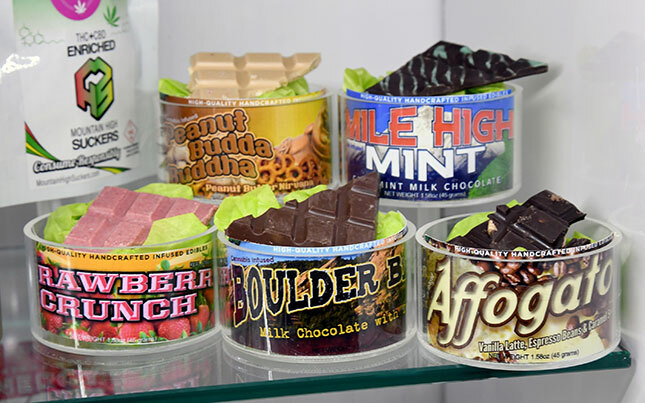 Firms are also experimenting with new products, including Kiva Confections (a line of pot-infused chocolates) and Wana Edibles (pot-laced sour gummies)—even though edibles are more likely to cause overdoses because the effects take hours to become evident. The rise of legal edibles has widened exposure of children to pot. A 2015 study published by Clinical Pediatrics found that the rate of children overdosing on marijuana is 2.8 times higher in states where the drug is legal. Three-quarters of all pediatric overdoses from 2000 through 2013 occurred with edibles. A 2014 survey by the National Institute on Drug Abuse found that 40 percent of 12th-graders who said that they had used marijuana ingested it. In Colorado, meantime, pot-related teen emergency-room visits have risen from 1.9 per 1,000 teens to 4.9, over a ten-year period. But any strict accounting must balance new pot jobs with economic opportunity squandered elsewhere. Many employers, including hospitals, construction firms, and transportation companies, regularly test for drugs, as they are potentially liable for their workers’ mistakes and accidents. Prior to legalization, many such firms were having trouble finding workers who could pass drug tests; the challenge only grows when pot becomes legal. A Quest Diagnostics study found that the number of job applicants testing positive for cannabis rose 20 percent after legalization in Colorado, and 25 percent in Washington State. The CEO of GE Johnson, a large Colorado construction company, said several years ago that the worker drug problem had grown so severe that his firm started recruiting out of state. “This is a very troublesome issue for our industry, but I do not see us bending or lowering our hiring standards,” Jim Johnson told the Colorado Springs Gazette. “Our workplaces are too dangerous and too dynamic to tolerate drug use.” Yet the response of advocates is to lobby to restrict employers from testing for pot. Maine’s new pot law, for instance, bars firms from refusing to hire applicants who use pot on their own time. It’s easy to total up revenues from pot taxes but harder to quantify the economic cost of negative consequences, which may prove enormous. Consider one resurgent social problem: homelessness. Most experts agree that mental illness and addiction, sometimes working in concert, are at the root of much of the problem. About half of all homeless people are thought to be addicted to drugs or alcohol, and 30 percent suffer from mental illnesses, including psychosis. As drug use has increased in America in recent years, homelessness has worsened, especially in places like Seattle and Portland, two cities in states that have legalized marijuana. Seattle’s homeless population, already among the nation’s largest, has been expanding considerably faster than the national average. The trend has led to more crime, including drug-related thefts. The city’s so-called drug-friendly housing for the homeless has been beset by property crimes, prostitution, and drug dealing. Governments in the greater Seattle metro area have consequently ramped up spending on homelessness and now commit nearly $1 billion annually to the problem—but it’s not enough. Seattle’s ill-fated tax on corporations, passed in early 2018 and then rescinded in the face of corporate opposition, was designed to raise more than $100 million, much of it intended for more homeless funding. It’s a similar picture in Portland, where up to three-quarters of the homeless suffer from addiction, according to some estimates. The inherent contradiction of a country facing growing addiction problems in tandem with states rushing to legalize marijuana has not been lost on everyone. Recently, former New York mayor Michael Bloomberg, chief executive of a company that employs nearly 20,000 people, said that, even as America struggles with an epidemic of drug use and overdosing, it is “trying to legalize another addictive narcotic, which is perhaps the stupidest thing anybody has ever done.” Most Americans don’t yet agree—but they need to look at the evidence. Steven Malanga is the senior editor of City Journal and the George M. Yeager Fellow at the Manhattan Institute.